Unite members covered by the OCA agreement overwhelmingly rejected the proposals by the OCA. The OCA have reiterated they value the Agreement and the stability it has enabled over the past 16 years and that they are available for further dialogue. However, given the indication they are not prepared to change their views, our commitment to our membership is clear. 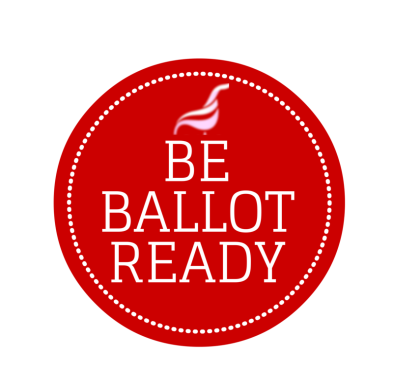 We will now begin the preparations for a lawful industrial action ballot for Unite members working within the OCA. We will publish more details on the different ways you can update this information. The success of this ballot will rely on our ability to communicate effectively. Up to date home addresses, email addresses and phone numbers will ensure this. Will you become active in Unite? Unite thanks those members who have already indicated that they are willing to support their Union in getting information out to their colleagues and new members continue to join as a result of the work you have done. We need as many Unite members as possible to assist us in building up the ballot and recruiting more members. More information will be published on how you can support Unite in the coming weeks. We will of course be in touch with you again as soon as arrangements have been made to commence the balloting process. Following the failure of Aramark, Sodexo, Entier, ESS, Trinity and FOSS to uphold the lawfully negotiated two year pay deal for our members Unite will be serving notice on these COTA employers, and we are continuing to prepare the ground for this action. We cannot let employers, and oil companies get away with ripping up negotiated, reasonable and fair pay deals- otherwise they will think they can get away with ripping up our hard-fought for terms and conditions. You, the members, have decided that we must move to a ballot for industrial action. You, the members, voted over 80% in favour of industrial action in the consultative ballot in March. Now we are continuing preparations for an industrial action ballot, which is being checked verified and checked by our legal team. It is now absolutely crucial that Unite have the following info for every member: address / job title / rig / employer / contract type. If you haven’t already done so please send us your info either by emailing: offshoreunite@gmail.com or speaking to an organiser at the heliports. We want as many members as possible to vote in any ballots that we hold. 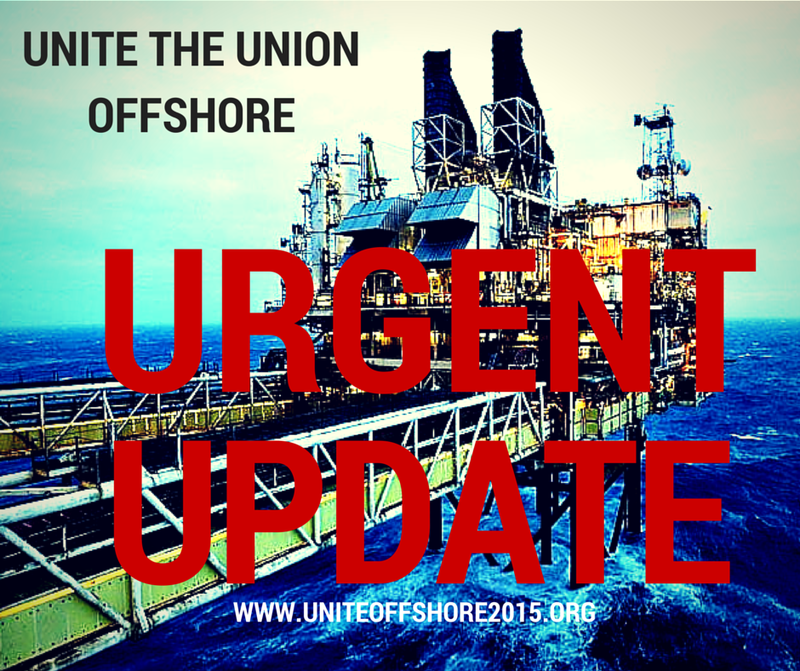 We want a big mandate to take action offshore, so please make sure you update your details with the Union. Our pay deal was negotiated in good faith- and it’s now being torn up. Our services, our work and our skills create the backbone of offshore operations. Without us, the industry can’t operate- and we deserve to be recognised for the role we play in the North Sea. We need as many workers in the North Sea to join Unite, to be ready to take part in the ballot and to tell colleagues to do the same. By standing up and standing together, we can win. Unite is the largest and most organised trade union representing off shore workers. Unite represents off shore workers covered by the OCA, COTA and UKDCA. We are proud to be a member led union, and during this dispute, we want to hear from you, the members, about tactics that you think would work. We need to have a strong membership to fight back against these attacks on our pay, jobs, terms and conditions. Our shop stewards and our officials have expert knowledge on the key issues that affect offshore workers. By joining unite you join the thousands of other workers who are protected by the agreements and who can get advice when needed. Unite is the biggest recognised trade union amongst the industry. Joining unite means you have a say in what is being proposed by the companies and a chance to have your say on how we respond. It is absolutely clear that if you join unite today that we will be able to continue and improve our influence in securing better terms and conditions for workers. You can join online at http://www.unitetheunion.com or speak to one of the unite organisers on the heliports for a membership pack. Following the rejection of the latest Offshore Contractors Association (OCA) offer, Unite will be discussing with our members at the heliports the best way forward for the industrial dispute. You, the members have categorically rejected the OCA’s proposals over changes to shift rotas and terms and conditions following our consultative ballot. Please speak to an organiser at the heliports to update your information so that we are ballot ready and continue to follow us on social media and on our website as detailed above. As with COTA, and to move ahead legally with the dispute, it is now absolutely crucial that Unite have the following info for every member: address / job title / rig / employer / contract type. If you haven’t already done so please send us your info either by emailing: offshoreunite@gmail.com or speaking to an organiser at the heliports. Unite members under the Offshore Contractors Association (OCA) agreement have rejected proposals over changes to shift rotas and terms and conditions following our consultative ballot. 63.5% of members balloted voted against OCA’s offer on a range of terms and conditions. Unite will be consulting our members on the way forward in the coming days, so please continue to follow us on social media and our website as detailed over the page. Unite the Union is continuing to prepare for an industrial action ballot. COTA have failed to uphold the second year of a two year negotiated pay deal. As part of the process for an industrial action ballot, paperwork is currently with the Unite Legal department. While this is ongoing, it is crucial that all members ensure that their records – name, address, employer, job title and platform- are up-to-date with the union. Please speak to a Unite organiser at the heliports, or email your information to offshoreunite@gmail.com to update your information. This is very important to ensure that you get a vote in the upcoming ballot. Make sure that you keep up to date with the latest campaign news by following us on Facebook, and checking out our dedicated offshore website- details at the bottom of the page. The consultative ballot on the current UKDCA employers position in relation to our pay and conditions claim closed on Friday 31st of July. A Majority of Unite members voted to reject the UKDCA’s pay freeze. The ballot return clearly demonstrated that Union members are far from happy with the current situation they face in the offshore drilling sector. UKDCA representatives have been made aware of our members’ views and following the talks between UNITE and the UKDCA on 31st July, it has been agreed to adjourn for both sides to reflect on the current situation. Unite representatives will meet with the UKDCA again in a few months to review where the industry is at and whether the UKDCA may be in a position to review their response to our pay and conditions claim. A letter from the Regional Officer Tommy Campbell will be sent to Unite UKDCA members this week.